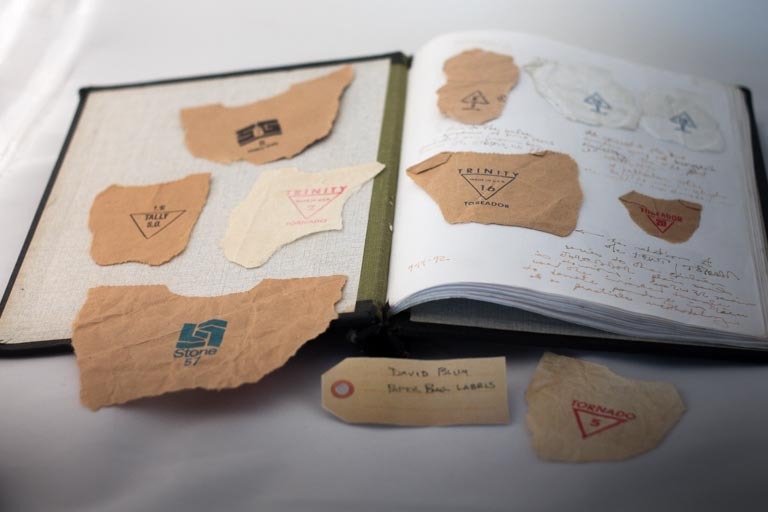 Paper bag labels | That Belongs in a Museum! Some years ago, I was thinking about stamps […] and it occurred to me that you could collect almost anything, and I started pulling the labels off of paper bags. […] I thought it’d be nice to collect them as a joke and then I realized not long afterwards that all these paper companies were going away. These are small paper companies that are either going away or being bought up by large conglomerates, and lo and behold all these labels started disappearing. […] So as it turns out this joke of a collection turned out to be possibly something that consists of rare, collectible items: paper bag labels.